A common growing pain for many small businesses is a build up of paperwork. And while it may be something your business has become used to, it can be a big win in terms of saving time and costs. 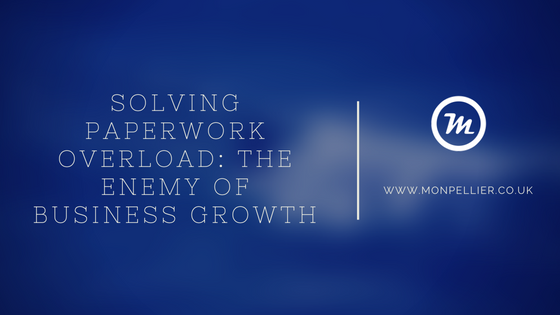 An overload of paperwork can cause big headaches for owners and managers, bring day-to-day operations to a crawl and hinder sustainable growth. You have manual, time-insensitive processes for getting invoices to clients and duplicated information kept in multiple sources, managed by various employees. The more sales you get, the more pressure builds on this process and the harder it becomes to maintain. The end result is a constant backlog of invoice reconciliation to manage due to double-entering data, checking different sources for the correct data, and fixing manual entry errors along the way. Month-end continually becomes a larger task as more transactions increase the reconciliation task between systems. It all ends up creating an overload of paperwork. Additional pressure is lumped onto your team. Time is spent firefighting instead of working on more strategic, revenue-generating business activities. The second problem area is fractured data in multiple systems. Data entered by different people in different formats. With two sets of information that differ slightly, how do you know which is correct? The integrity of your data is then called into question altogether. Time is spent confirming information and reconciling data from conflicting sources. Situations like these are common when using spreadsheets – particularly when inventory is involved. If you’re not careful, you can start to lose visibility on what’s happening across your business. As your business grows, you add new employees, your sales levels increase, you open new locations, and your inventory expands. Information becomes more difficult to locate, and inaccuracy becomes more difficult to locate, and inaccuracy becomes more common. Look at systems which give you real-time information that can be accessed by multiple parts of the business. 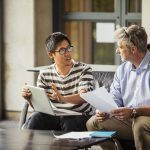 Having one central system, like an ERP, can give your business enhanced visibility and provide a common platform for all employees to access data from across the business. For instance, finance staff can view a complete history of customer interactions, sales reps can see stock amounts and administration team members can see other team’s calendars, tasks and reminders. This means everyone in the company can quickly answer the dreaded, ‘where’s my order?’ question from any customer. Having a greater level of visibility across areas like sales, inventory, productivity and profitability, can also help to identify any obstacles. You and your team can quickly cover issues, trends and opportunities. You can make critical decisions faster and with more confidence. And, you can do it all as part of a paperless office environment. Keep visibility high using the right digital systems for your business needs. When you’re running reports from multiple sources, checking and consolidating that reporting can take too long. Days can pass as the report is emailed from one individual to the next, adding their relevant information or cross-referencing. The view of your business position is no longer current – it’s days or weeks old. Aside from being time-consuming, if the data is accurate or out of date, it can affect the quality of your reporting and the decisions made as a result. An ideal solution to access live reporting is by using business intelligence dashboards. They can be set up to report on data from multiple areas of the business and present you with the most up to date information – all on one screen. When it comes to forecasting, there can be a tendency to trust your instincts rather than spending the time and effort compiling data that’s sitting in multiple systems or documents. After all, it’s frustrating and can be difficult to get accurate information, all on the one format so that you can do a proper trend analysis – without printing dozens of paper reports that create a war zone out of your desk. Rather than sift through various systems to get the data you need to prepare your forecasts, consider whether its time to move to better business technology that provides a single source of data, like a cloud ERP system. Forecasting needs a single source of truth to be reliable. Bring everything together and leveraging the real-time, single-source data that you know will be accurate and up to date. Start thinking about the right business system that can support your forecasting requirements. What’s the next step to reducing your paperwork burden and saving your business time and costs? Start by getting in touch with our team of ERP solution specialists on 0191 500 8150. Let us know your business needs so we can let you know how the right technology can unlock faster business growth.